Artist’s illustration of the Queqiao spacecraft. Credit: China Aerospace Science and Technology Corp.
A Chinese communications satellite carrying a Dutch radio astronomy instrument launched last month is expected to maneuver into position around a gravitationally-stable point beyond the moon in the coming days, ready to relay telemetry and data between Earth and the Chang’e 4 lander set to attempt the first landing on lunar far side late this year. 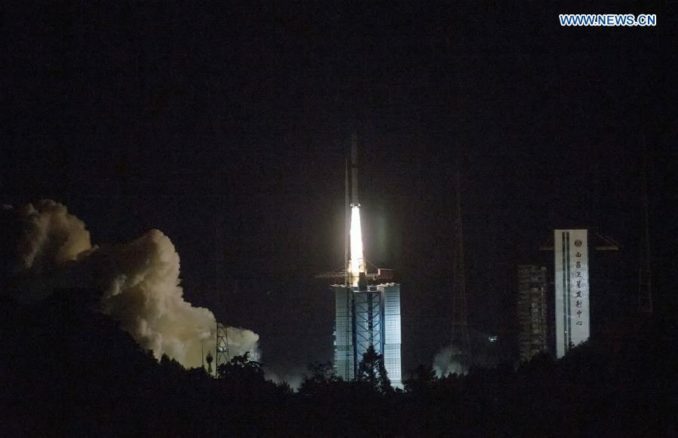 Launched at 2128 GMT (5:28 p.m. EDT) May 20 from China’s Xinhua space center aboard a Long March 4C rocket, the relay probe completed an engine firing as it flew around 60 miles (100 kilometers) from the moon May 25, setting a course for a perch around 280,000 miles (450,000 kilometers) from Earth. The relay craft is named Queqiao, which means “magpie bridge” and comes from a Chinese folk tale in which a flock of birds form a bridge across the galaxy to reunite two lovers. Queqiao will park itself in a “halo” orbit around the Earth-moon L2 Lagrange point around 37,000 miles (60,000 kilometers) beyond the moon. At that location, the combined effect from gravity from Earth and the moon will keep Queqiao at roughly the same distance as the moon completes each 28-day orbit. China developed the Queqiao spacecraft, which weighed roughly 900 pounds (400 kilograms) fully fueled for launch, to link ground controllers and scientists with the Chang’e 4 lander and rover, the country’s next robotic mission to the moon. Chang’e 4 is scheduled for launch in November or December, and it will attempt the first soft landing on the far side of the moon. A direct radio signal between ground controllers and the Chang’e 4 spacecraft will be impossible on lunar far side, which always faces away from Earth. 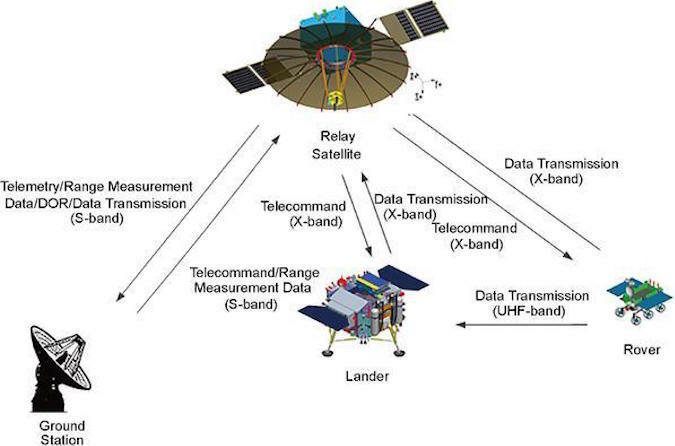 The Queqiao relay craft will pass data between mission control and Chang’e 4 during the lander’s final descent, and during the rover’s drives after touchdown. 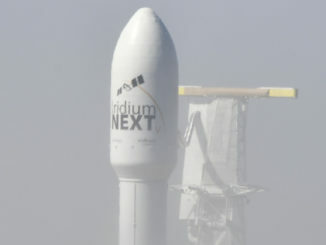 Carrying a 13.8-foot (4.2-meter) deployable antenna which unfurled shortly after launch, the communications satellite will connect with rover and lander in an X-band frequency, and beam signals to a ground station on Earth in S-band. 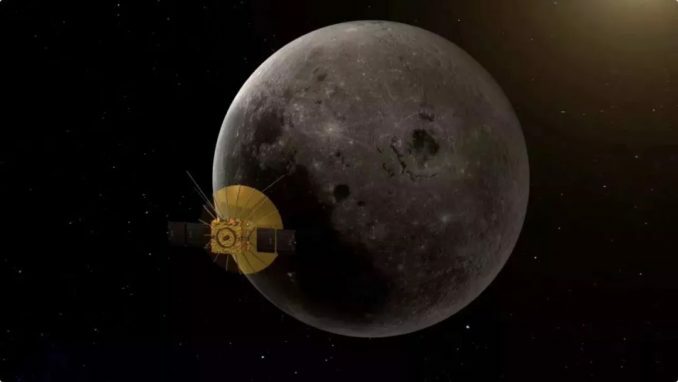 After its lunar flyby maneuver May 25, Queqiao is expected to arrive on station in its halo orbit around June 10, according to information released by the China Aerospace Science and Technology Corp.
Then ground controllers will ready Queqiao for its role in Chang’e 4’s landing late this year. Using spare hardware built for China’s Chang’e 3 lunar lander and rover, which arrived at the moon in December 2013, Chang’e 4 will target Von Karman crater, an impact site located in the moon’s South Pole-Aitken basin. 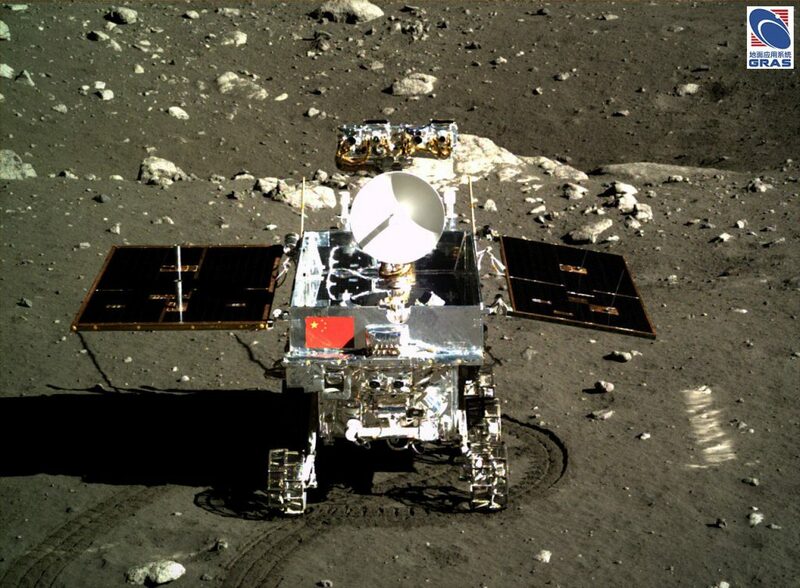 Some of Chang’e 3’s science instruments are still functioning, but the rover ceased driving a few weeks after landing. The Chang’e 3 rover, named Yutu and designed to drive up to 6 miles (10 kilometers), traveled around 374 feet (114 meters) before losing its mobility, according to Chinese scientists. The landing module, which will make a rocket-powered landing on the moon like Chang’e 3, will carry a low frequency radio spectrometer developed by Chinese scientists for astrophysics research. A German-developed neutron and dosimetry instrument will measure radiation levels at the Chang’e 4 landing site, collecting data that could be useful in planning human exploration of the lunar far side, studying solar activity, and gauging the underground water content in Von Karman crater. The Chang’e 4 rover will host a ground-penetrating radar to study geologic layers buried under the landing site, and a visible and near-infrared spectrometer to gather data on soil composition. Chinese officials approved the addition of a Swedish instrument to study the interaction between the solar wind and the lunar surface, which is not shielded by an atmosphere from the bombardment of charged particles originating at the sun. Chang’e 4 will also deliver to the moon a student-designed carrier containing potato seeds and silkworm eggs. University students and scientists will monitor the growth of the organisms, which will be housed inside a chamber and fed natural light and nutrients once on the lunar surface. As soon as next year, China plans to launch Chang’e 5, a robotic mission to retrieve lunar samples and return them to Earth. Science and technological experiments from the Netherlands and Saudi Arabia are flying on the Queqiao relay craft and two lunar microsatellites that accompanied it to the moon, preceding the international instrument complement on Chang’e 4. A low-frequency radio receiver on Queqiao was built by a consortium of Dutch companies and research institutions to test the feasibility of using the unique environment near the far side of the moon to probe the ancient universe. 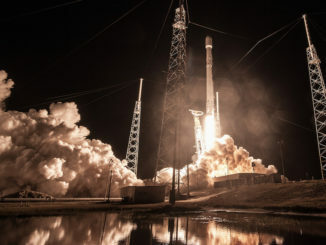 The Dutch payload riding piggyback on the Queqiao mission was developed in less than two years, an unusually fast time for a space instrument, according to Heino Falcke, a radio astronomer at Radboud University in the Netherlands who led development of the Netherlands-China Low-Frequency Explorer. Spaceflight Now members can read a transcript of our full interview with Heino Falcke. Become a member today and support our coverage. It turns out the far side of the moon, and the region of space around it, is prime real estate for astronomers who seek to study a time a few hundred million years after the Big Bang, before the first stars were born, a period known as the cosmic dark ages. “You had the Big Bang. The universe was cooling, and particles were coming into existence, and at some point it became cool enough that hydrogen was formed, and that’s when the universe became optically thin,” Falcke said. “So you had this hot plasma, which goes into the neutral hydrogen phase. Astronomers need to detect low-frequency waves to investigate this part of the universe’s ancient past, and Earth’s atmosphere blocks most of the signals from reaching ground-based radio observatories. And interference from Earth’s own radio emissions introduce noise to listening posts that could be launched into Earth orbit. The far side of the moon is a “radio quiet” zone free of such interference, and the Netherlands-China Low-Frequency Explorer, or NCLE, aboard the Queqiao spacecraft will demonstrate the potential of sending future radio astronomy missions to such an observation post. The idea for the Dutch-Chinese collaboration hatched in 2015 during a trade mission to China by Dutch King Willem-Alexander, Falcke said. By early 2016, the plans came together and Dutch scientists received the formal go-ahead for the roughly $3.5 million (3 million euro) instrument. 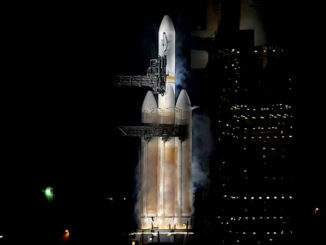 But teams had to design and build the instrument, which includes three extendable low-frequency antennas, without the use of U.S. components. U.S. export restrictions prevent U.S.-built space hardware from launching on Chinese rockets. Falcke said the antennas for such an experiment would typically purchased from a U.S. contractor. 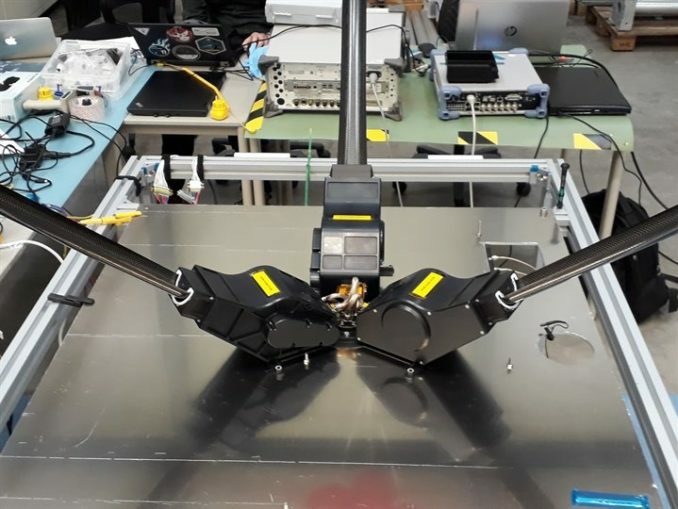 The three monopole antennas will unfurl to a length of more than 15 feet — about 5 meters — in early 2019, once the Queqiao spacecraft’s prime data relay mission is complete, allowing the radio astronomers’ tech demo campaign to commence. Lessons learned from the Dutch-led experiment could help scientists and engineers design more sensitive equipment to fly on future spacecraft, but Falcke said the payload on Queqiao might shed some light on astronomers’ long-held questions about the nature of the universe before the first stars formed. Two microsatellites, dubbed Longjiang 1 and Longjiang 2, accompanied Queqiao on its May 20 launch. Developed by the Harbin Institute of Technology, the twin Longjiang spacecraft, also known by the acronym DSLWP, were programmed to loop into orbit around the moon as Queqiao flew by en route to its operating station beyond the moon. Both microsatellites carry amateur radio transmitters, the first such payloads to fly in lunar orbit. But engineers and enthusiasts listening to the Longjiang radio broadcasts apparently lost contact with one of the satellites — Longjiang 1, or DSLWP-A — shortly after it was to enter orbit around the moon, according to a GB Times report. Amateur radio enthusiasts later reported detecting signals from both microsatellites, suggesting they are healthy after arriving in lunar orbit. The twin Longjiang spacecraft are designed to fly in formation to validate technologies for low-frequency radio astronomy observations, similar to the objectives of the Dutch experiment aboard the Queqiao relay craft. The microsatellites also carry optical cameras from Saudi Arabia, another example of the Chinese space program’s expanding portfolio of international partnerships.